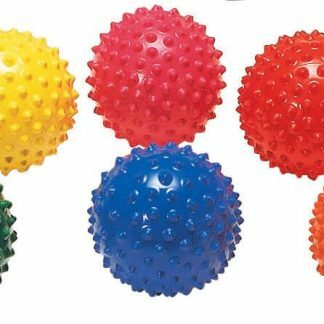 What would childhood be without balls? All share a common shape. All help children learn cognitive, motor, and social skills. Differences in size, weight, and texture determine how children play. 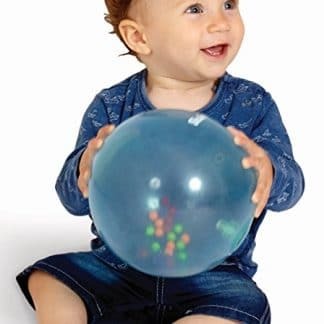 Rainbow Soft Ball, a 7″ diameter translucent blue ball with 24 vibrant beads inside, also provides visual and auditory stimulation. 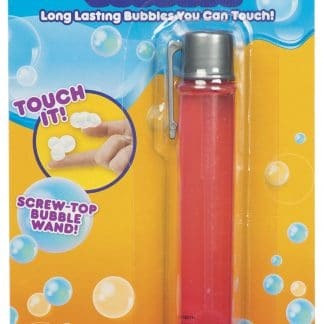 Look inside translucent Rainbow Soft Ball and see 24 bright beads. Shake, roll, toss, or kick. Watch and listen as the beads dance around inside the ball. Experiment. What happens when you shake the ball gently? 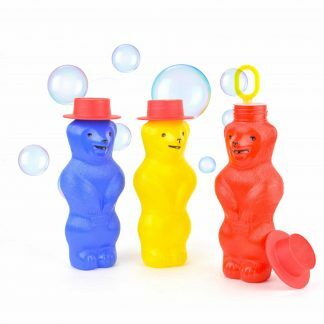 Then shake, shake, shake as fast as you can. What do you see? 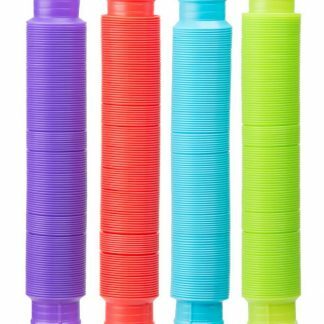 Do the beads move faster? Is the sound of the beads bouncing inside the ball louder? 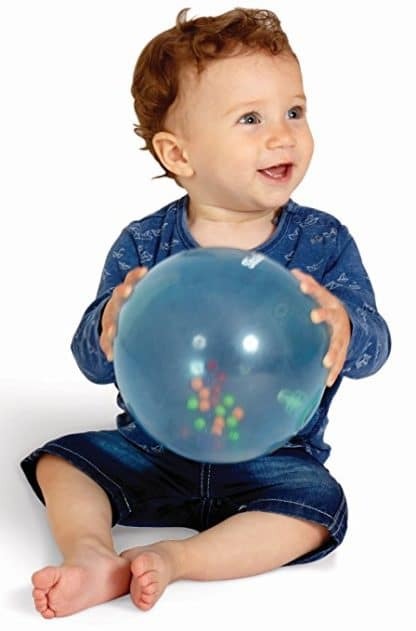 Those bouncing beads help children develop visual tracking skills, auditory discrimination, and spatial orientation. Crawlers roll and chase after the ball. Toddlers toss, kick, and run to retrieve. Activities that develop gross motor skills, including balance and coordination. Playing with others develops social skills as children play together, learning to take turns and share. Fun for all, Rainbow Soft Ball is a must have for the visually impaired. Ships inflated.